#17. 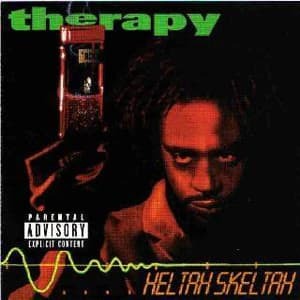 Heltah Skeltah f/ Vinia Mojica "Therapy"
Assuming the roles of therapist and patient, respectively, Ruck and Rock talk out their issues with the funky singing by Ms. Vinia Mojica. After bellyaching from Rock about a violence obsession and a generally grimy lifestyle, Ruck passes his patient a spliff and a six-pack and reaches his diagonsis: Rock doesn't need therapy because he is, in fact, the best in this world of confusion. If there's anything to be learned from this record, it's that if your psychiatrist is named Killpatient he might not have your best interests in mind.